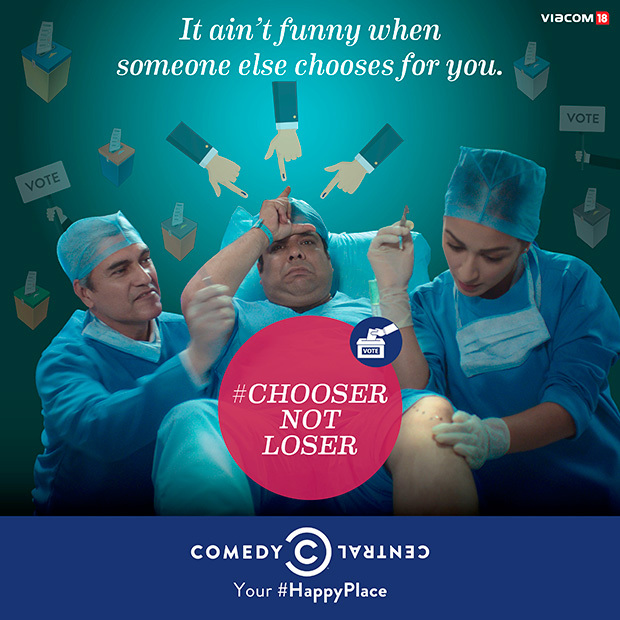 Keeping in mind the election season, Comedy Central in its campaign #ChooserNotLoser has reminded viewers that we have the right to vote and choose our leader. The three satirical videos that comprise the campaign not only tickle the funny bone of viewers but also cajole them to realise their duty as responsible citizens. Through the campaign, the English comedy channel poses a hard-hitting question, “Are you a Chooser or a Loser?”, urging viewers to understand the importance of their votes that can eventually be the difference between someone who makes their own decisions and one who is made to live with the choices made by others.